Six Thousand (6,000) coins per minute! Takes less than 9 minutes to empty the large 50,000 coin capacity hopper. That is 2.8 million coins per day for the high volume user! 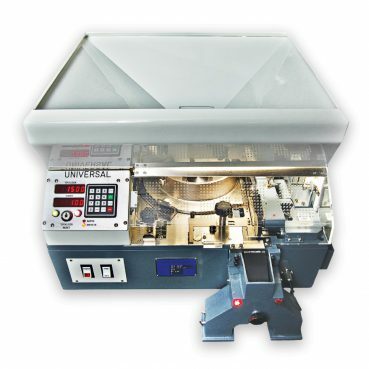 Universal’s Model 360 High Speed Coin Counter is one of the fastest coin counters available on the planet. In addition to being fast, the Model 360 is built to last. Rugged construction, dependability and count accuracy of the Model 360 are proven throughout the world daily in Mints, Transit Authorities, Casinos, Banks and Vending Companies. You will not find another coin counting machine, at any price, with the proven reliability and longevity of Universal’s Model 360. 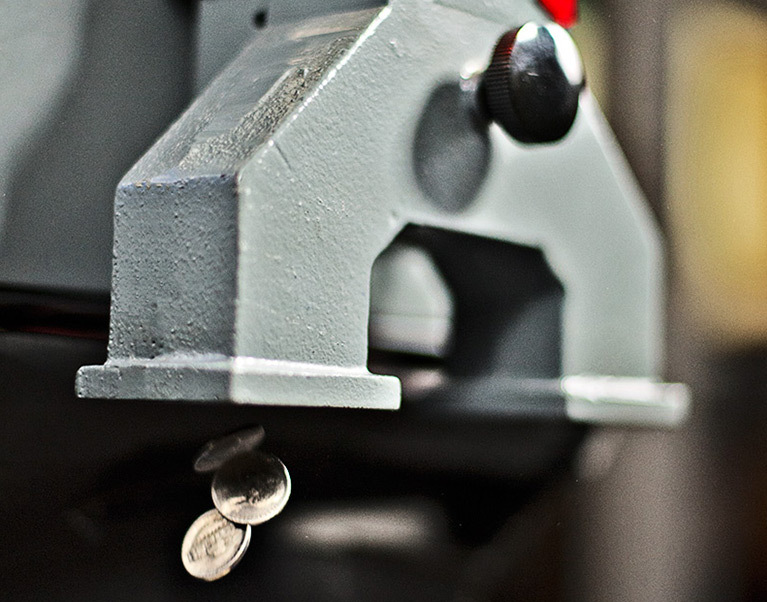 The Model 360 is equipped with a large 50,000 coin capacity hopper and comes standard with a twin alternating discharge chute to increase processing efficiency. 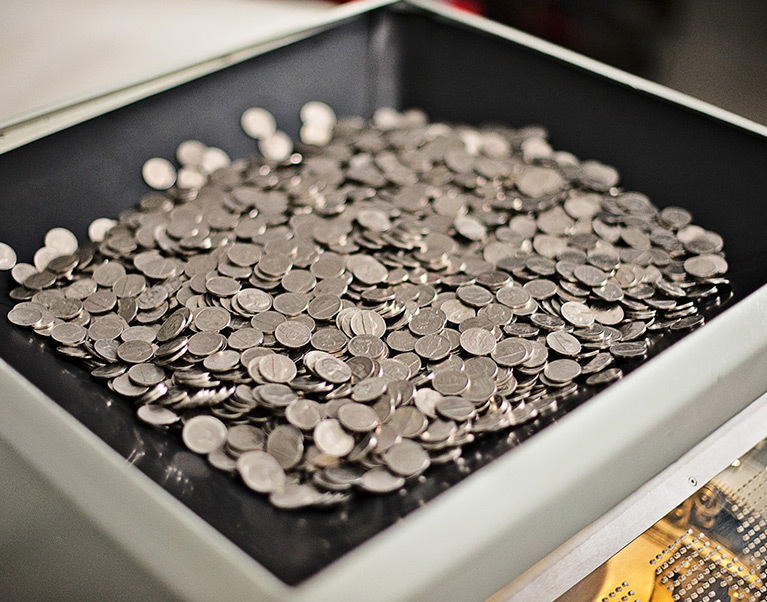 It is designed to count a single denomination at a very high rate of speed, up to 6,000 coins per minute when counting 18mm diameter coins. Data and count status are viewed on the control panel’s two six (6) digit displays. 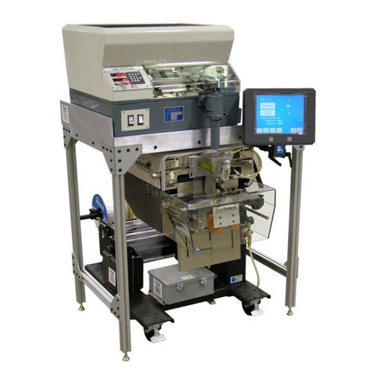 The Model 360 is compact and can be easily integrated into any automated coin processing or packaging system. 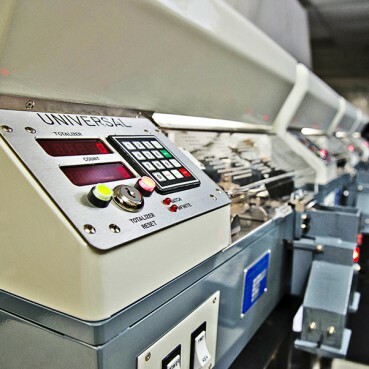 Optional add-on features allow remote control and signaling that allow full automation.